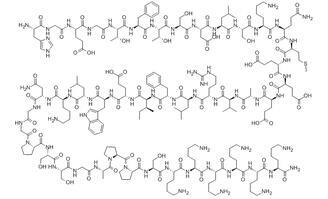 PF-06291874 is a highly potent glucagon receptor antagonist. It displays low in vivo clearance and excellent oral bioavailability in both rats and dogs. BETP is an agonist of glucagon-like peptide-1 (GLP-1) receptor, with EC50s of 0.66 and 0.755 μM for human and rat GLP-1 receptor, respectively. 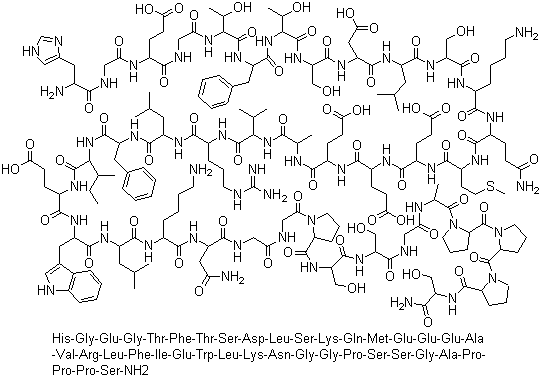 Semaglutide, Long-acting human GLP-1 analog. Semaglutide seems to be more effective the other GLP-1Ras. GRA Ex-25 is an inhibitor of glucagon receptor, with IC50 of 56 and 55 nM for rat and human glucagon receptors, respectively. 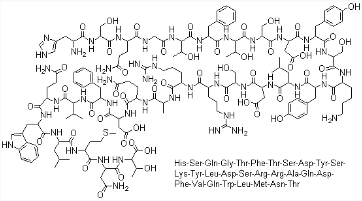 Dulaglutide is a glucagon-like peptide-1 (GLP-1) receptor agonist. Lixisenatide inhibit glucagon release, markedly reduce postprandial glucago. 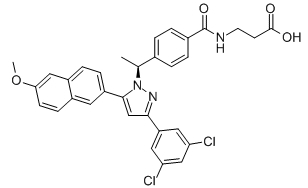 MK 0893 is a potent, selective glucagon receptor antagonist with IC50 of 6.6 nM, and > 200 fold selectivity against GIPR, PAC1, GLP-1R, VPAC1 and VPAC2. Exendin-4, a 39 amino acid peptide, activates GLP-1 (glucagon-like peptide-1) receptors to increase intracellular cAMP in pancreatic acinar cells and has no effect on VIP receptors. Glucagon is a peptide hormone, exhibits therapeutic potential for metabolic disease.